The National Diversity Awards are for people who inspire other individuals through their work, through their commitment to helping others, through their infectious personalities and through adversity. The UK has taken such an event to their hearts, with thousands of nominations being received each year, all of which focus on the unsung diversity heroes of our nation. The National Diversity Awards is a significant occasion; it has opened up opportunities and given people a platform to spread a positive message. The National Diversity Awards 2016 in association with Microsoft will be held in Liverpool on September 16th. Britain’s most inspirational and selfless people will come together to honour the rich tapestry of our nation, recognising individuals and groups from grass roots communities who have contributed to creating a more diverse and inclusive society. The ceremony celebrates some of the excellent and inspiring achievements of positive role models and community organisations from across the UK. The awards aim to recognise nominees in their respective fields of diversity including age, disability, gender, race, faith, religion and sexual orientation. Our Founder Kris Saunders-Stowe has been nominated for Positive Role Model – Disability. Since embracing using a wheelchair and becoming a fitness instructor his role and involvement within the field of disability and fitness has become diverse – actively encouraging a change in perceptions by the fitness industry and the public in what people living with disabilities are capable of. At the same time he tries to demonstrate to others like himself who live with a disability that it does not need to be a barrier to life, by changing the way in which they view themselves and their abilities and showing that anything is possible. His mixed ability approach helps integrate people of all abilities together removing barriers, taboos and ignorance of the capabilities of the individual. 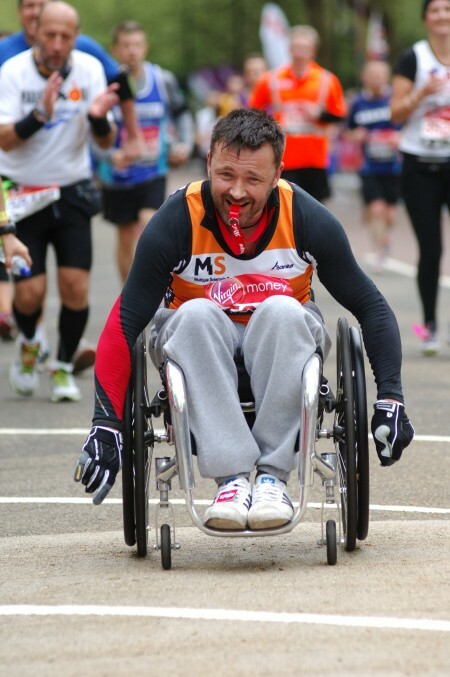 He later additionally became an instructor for Halo Leisure where he teaches a modern approach class for people living with MS. His close connection to his clients led him to run the London Marathon for the MS Society in 2015 using a standard wheelchair. Later he introduced his unique class Wheel-Fit™ (Aero-Fit at Halo centres) to Halo clients of all abilities increasing access to a wider audience. Wheel-Fit has gone on to be an international success with the release of it’s first home exercise DVD in September 2015. In December 2015 a second unique class Wheel-Spin™ (an intense cardio workout for wheelchair users) was released on DVD enabling self propelling wheelchair users to improve their fitness at home. 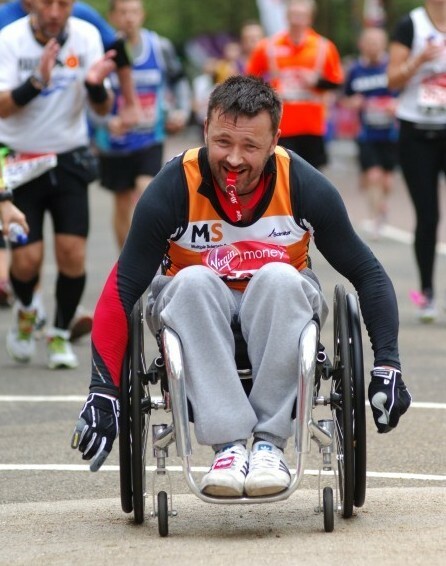 His work has brought about a close relationship with the national disability charity Scope who he is an ambassador for, actively fundraising for them, supporting their work and working with some of their clients through the classes he runs. This year he is running the London Marathon as a Gold Bond runner for Scope and is extremely proud to be actively involved with this charity. 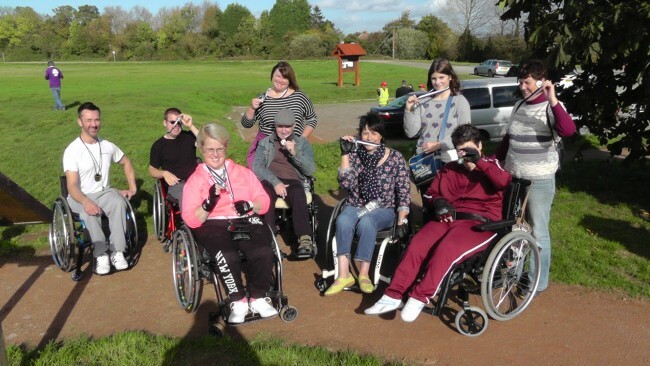 The classes he runs have brought about many changes in those taking part, seeing improvements in individual attitudes towards their disability and new directions with the newly found confidence and improved abilities. 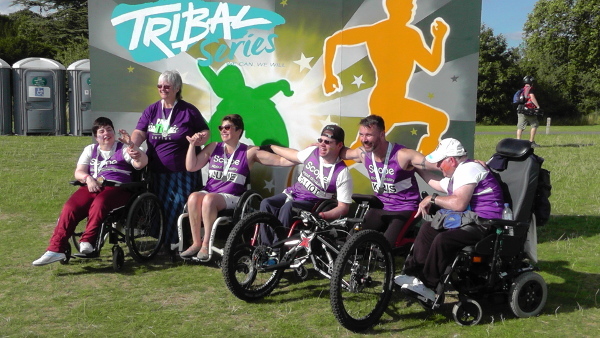 This has seen clients taking part in sporting events such as half marathons and the first ever UK mass participation event ParaTri through to significant improvements in individuals personal abilities to live a more independent and socially active life. Nominations are open to the public and close June 20th 2016 – shortlisted nominees will be chosen for each award category and announced shortly after this date. Winners will be announced on the night of the event.